More than forty works from the Brooklyn Museum’s expanding collection of contemporary art will go on long-term view on September 19, 2008, in 5,000 square feet of space newly renovated for this purpose. 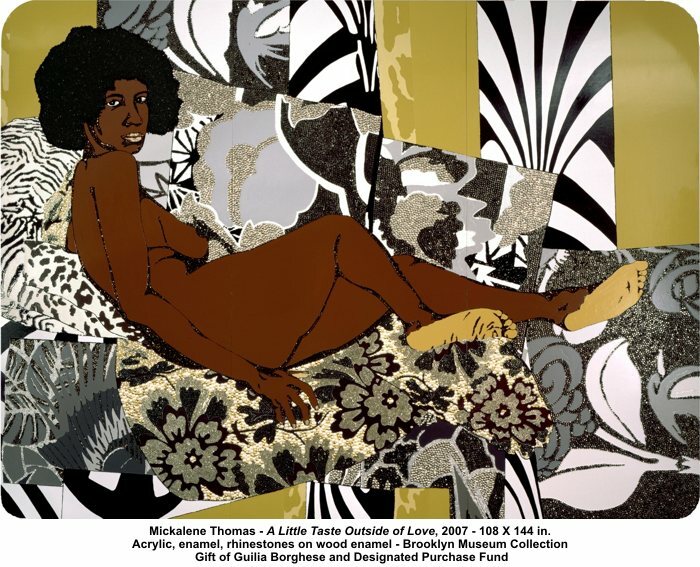 With contemporary works ranging from Andy Warhol’s Fragile Dress, 1966, to Mickalene Thomas’s A Little Taste Outside of Love, 2007, 21: Selections of Contemporary Art from the Brooklyn Museum will focus primarily on work produced since 2000, particularly from the richly diverse artistic community of Brooklyn. 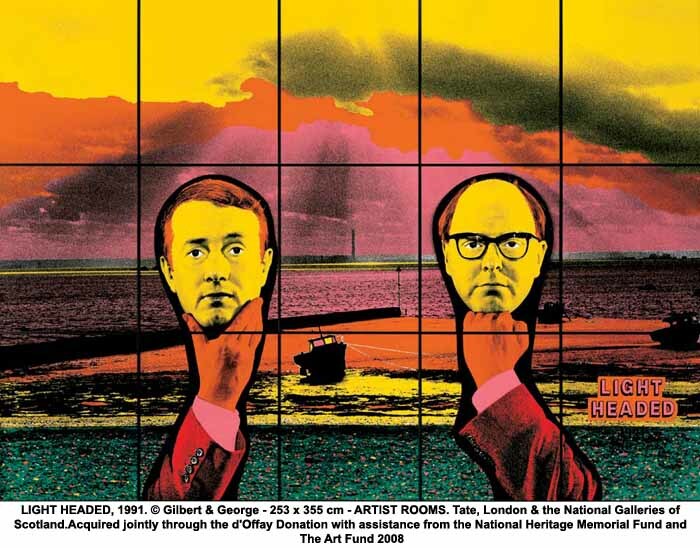 Donald Judd, Claes Oldenburg, and Do-Ho Suh. A new installation of three wax sculptures by New York artist Petah Coyne will be on view in the fifth-floor lobby gallery August 6, 2008, through July 2009, to coincide with the opening of the new contemporary galleries. Two of the three sculptures are recent gifts that will be on view for the first time. Among the recently acquired works in the contemporary installation will be a painting by the Miami-based artist Hernan Bas titled Night Fishing, which will also be included in the Museum’s forthcoming exhibition on the artist, on view February 27–May 24, 2009; a sculpture by Kara Walker titled Burning African Village Play Set with Big House and Lynching, 2006, that explores racial stereotyping through imagery drawn from the antebellum South; the Brooklyn artist Valerie Hegarty’s painting Fallen Bierstadt, inspired by the Museum’s renowned work by Albert Bierstadt, A Storm in the Rocky Mountains, Mt. Rosalie; a mixed-media sculpture by the Jamaican artist Hew Locke titled Koh-i-Noor, similar to another version of the subject in the Museum’s recent exhibition Infinite Island: Contemporary Caribbean Art; and twenty-five photogravures by Olafur Eliasson, a Danish-Icelandic artist, who is showing New York City Waterfall, a public art project currently on view in the East River. Other artists represented include Amy Sillman, Kiki Smith, Nari Ward, Chester Higgins Jr., Sol LeWitt, Kehinde Wiley, Terence Koh, Seher Shah, Simon Norfolk, Jules de Balincourt. The contemporary galleries installation is organized by Eugenie Tsai, John and Barbara Vogelstein Curator of Contemporary Art, and Patrick Amsellem, Associate Curator of Photography. The Petah Coyne installation is organized by Tumelo Mosaka, Associate Curator of Exhibitions. In addition to Jesper Just: Romantic Delusions, two additional contemporary exhibitions will be presented this fall: on view September 19, 2008 through January 4, 2009, organized by Patrick Amsellem; and Gilbert & George, on view October 3, 2008 through January 11, 2009, coordinated by Judy Kim, Curator of Exhibitions. 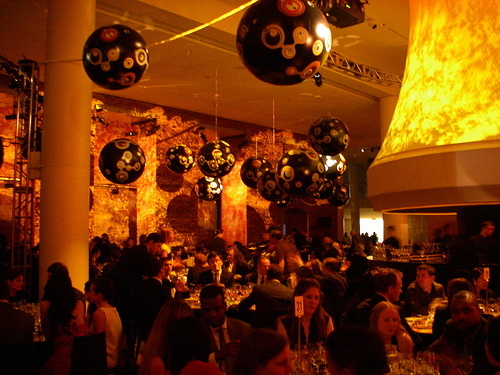 Following the long run of Japanese Pop Art power player TAKASHI MURAKAMI’s retrospective “© Murakami,” show in Los Angeles, the massive retrospective picked up and relocated to the BROOKLYN MUSEUM where the exhibit’s star-studded opening charity gala was held last nite. Adding a bit of tongue-in-cheek irony to this stop was the inclusion of a mini-exhibition of fake Murakami Louis Vuitton merchandise to playfully contrast the onsite LV boutique (which, once again, kicked none of its profits back to the museum) selling very real and very expensive merchandise to the housewives of New York City. 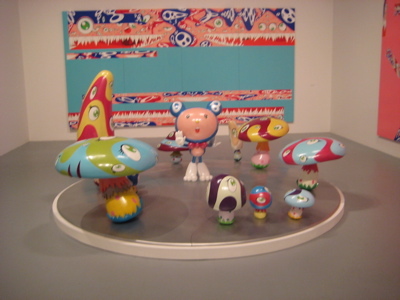 The most comprehensive retrospective to date of the work of internationally acclaimed Japanese artist Takashi Murakami includes more than ninety works in various media that span the artist’s entire career, installed in more than 18,500 square feet of gallery space, at The Brooklyn Museum. Born in Tokyo in 1962, Murakami is one of the most influential and acclaimed artists to have emerged from Asia in the late twentieth century, creating a wide-ranging body of work that consciously bridges fine art, design, animation, fashion, and popular culture. 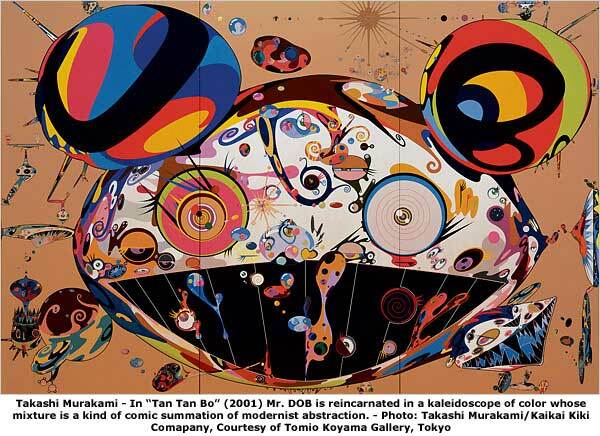 Here is further evidence that the upcoming © MURAKAMI exhibition which is set to make a storm at the Brooklyn Museum. Inqmnd have provided us with a more indepth look at the work which is close to 100 pieces spanning Murakami’s career will be on display in an 18,500 square foot gallery uncovering Murakami’s progression as an artist with the installation dating back to 1992.